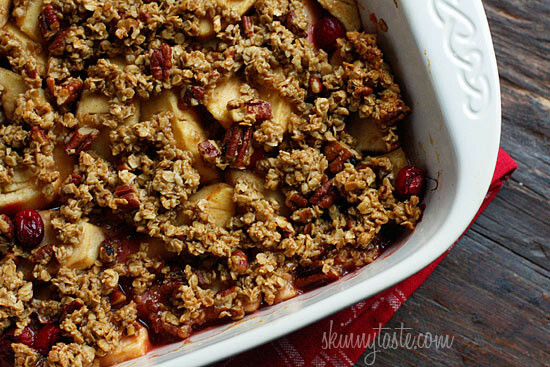 Delicious, comforting and perfect for your Holiday table! 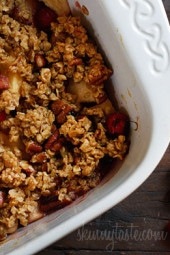 Apples and cranberries topped with oats, nuts and a little brown sugar are baked to a crisp in the oven and served warm. Now this is my kind of comfort food! 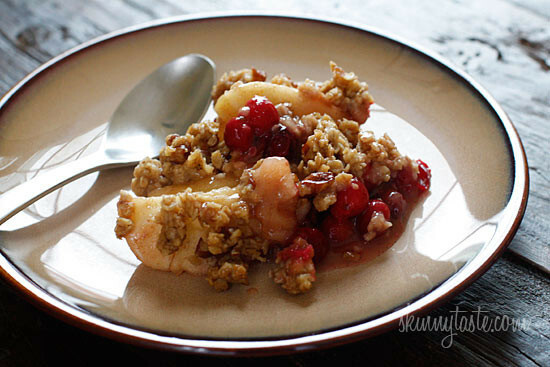 You can also try different varieties like Cinnamon Apple Crisp or Strawberry Crisp. I also love Apple Cobbler and Mixed Berry Pie. This was a makeover request I was HAPPY to tackle. I was asked to lighten up a Christmas must-have for her table, perfect for dessert, but she also serves this for breakfast table. We taste tested both her original recipe and this lightened up version and we know she will be pleased with the new results! 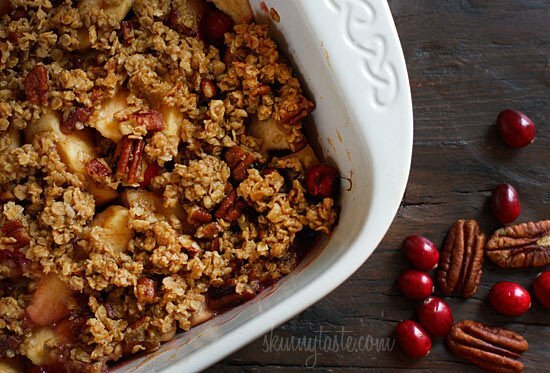 To serve a large crowd, simply double the recipe and use a larger baking dish. 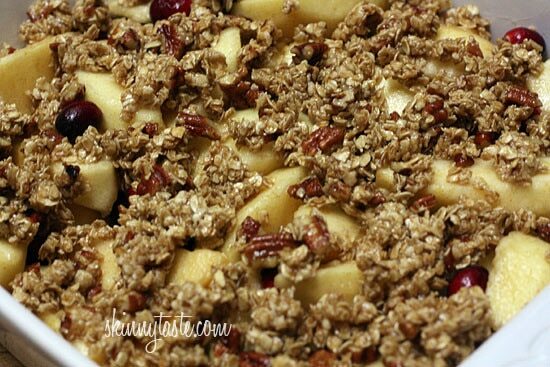 You can easily make this ahead, then reheat when you are ready to serve. Lightly spray a 9-inch square baking dish with cooking spray. 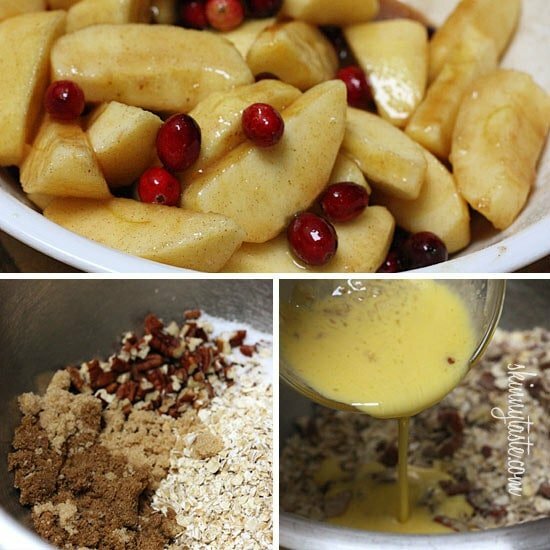 Combine apples, cranberries along with the rest of the filling ingredients in a bowl. 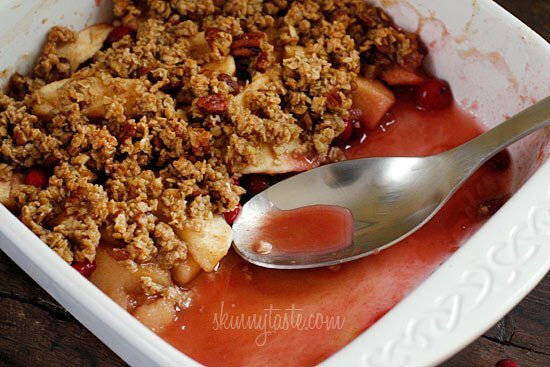 Pour into baking dish and even out with a spoon. 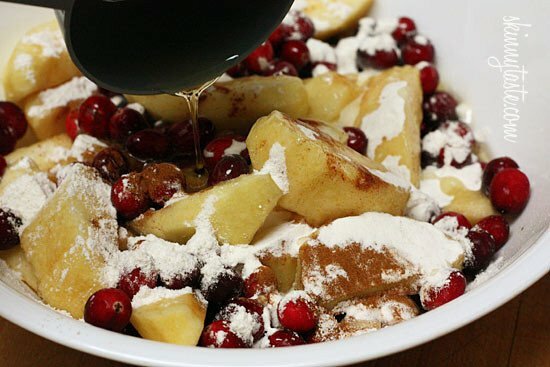 In another bowl, combine the topping ingredients; sprinkle over apple/cranberry mixture. 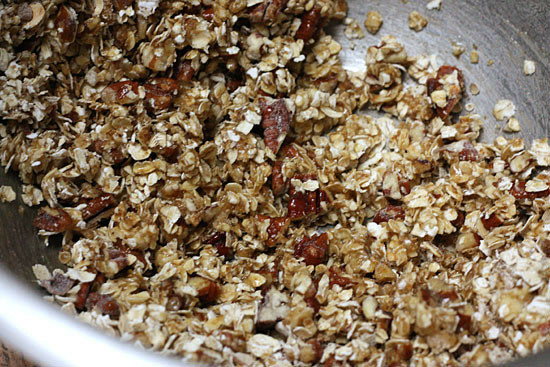 Bake uncovered, for 55-60 minutes or until browned and bubbly.